Thank you board mods for making this a sticky. There is already a thread on the HP thin client and MagicJack (HERE), but it has gotten so fragmented, its hard to focus just on the upgrades you can do to make it a more effective unit. Therefore, I have started this one and I will update the first post as regular as I can to make it easier to find what you need. What is the HP Thin Client? Basically, the thin client is a very small form factor (SFF) 8.9"x4"x7.7", ~3lb, low-power consumption, silent PC. It's about the size of a standard single DIN car stereo. The one we are most interested in is the HP/Compaq t5700 series. They can be found on ebay for a range of prices from $30 (if you are lucky like me) all the way up to $100 and beyond. Many here are getting them around $80-$90. - Combine this with a MagicJack and you have a low cost ATA-like solution for your phone needs. I have mine set in a closet with my router, HTPC and other computer related equipment. I currently have a t5700 1GHz that I upgraded to 512MB RAM and a 2GB compact flash drive. However, I later downgraded the storage to the default 256MB DOM and installed monowall on it. I also installed the PCI Expansion bay ($30) to allow the 2nd network card. Its now my firewall/router. My other one is a t5710 1.2GHz that I upgraded to 512MB RAM and a fast 1GB Disk on Module Flash by Transcend. It runs a modified version of XP this is what powers my magicjack. UPDATE: I now have a t5720 as well with 1GB RAM and 2GB Flash (Transcend) running a nlited version of XP with all the tweaks needed for this hardware. I have it setup as a VOIP call recording box right now using a freeware app called Cain. Previously, I had put embedded XP (XPe) on both of these thin clients. These units come with 192mb, 256mb or 512mb Disk on Module (DOM) flash memory that connect to a standard 44-pin IDE connector. The 44-pin connector is the same one used on 2.5" laptop drives. The stock flash memory upgrade prices are very expensive, but there are alternatives. Flash memory is silent and low power, but it also has a limited number of writes that can be problematic. Windows XP Embedded (XPe) has ways to reduce the writes to extend the life of the flash memory. What size flash memory to get? - A 256MB flash module is perfectly adequate for basic functionality of the MagicJack and will leave you about 30mb free after following the instructions in the OS Installation section below. However, I would suggest a 512MB flash upgrade for most to give you the extra space you might need for other things (dot net, java, callerID spoof, etc). Hard Drive - You can purchase a 44 pin female to female ATA cables off ebay and connect a laptop hard drive. Hard drives do not have the practical limited writes that flash memory has. However, they are larger and will likely require the PCI expansion bay to fit properly. They will also generate more heat, noise and use more power. Compact Flash Adapter - You can get a 44 pin compact flash adapter and plug any size compact flash card in to replace the stock flash. Do to the proximity of the 44 pin connector's to the PCI slot and case wall, I opted to get a 44 pin female/female cable off ebay (around $10 shipped). I connected that to a 44 pin compact flash adapter and popped in a 2gb Sony 133x CF card. Another option is to use a Compact Flash microdrive which is the same form factor but is a miniature moving hard drive. This option isn't as elegant as the solid state standard CF, but the write cycle limitation isn't an issue with the microdrive. **Update** - Not all CF cards can be set as a fixed disk. The Sony 2gb I mentioned was able to be set to fixed mode using a utility by Sandisk I mention further down in the troubleshooting section. However, my cheapo 1GB Toshiba CF from Sam's Club cannot be set. If a CF can't be set as a fixed HD, then XPe will likely give you errors about activation and not let you log in. The first CF adapter I bought was in the form factor of a 1.8" laptop drive to make it fit better for laptops. I would suggest against this because there are space constraints in these units. The smaller the adapter the better. There are also some available at http://www.logicsupply.com/categories/flash_memory/44_pin_ide_flash_modules that are not a perfect fit and would likely require a 44 pin male/female IDE cable. This was officially made for the t572x. However, there is no reason not to just use the Transcend one because its probably faster and its definitely cheaper. HP's image of XPe has a size limitation where it won't work correctly if you install it on a partition larger than 1gb. If you do, it will complain that the license is invalid and will not log in. There are 2 ways around this that I know of. The first is to install a patch called "AntiWPA 3.4.6". It makes XPe (as well as XP) not check the license file and lets it run normally. I will NOT provide a link to this because its generally associated with people installing illegal copies of XP which I do not condone. The other way is to install a regular copy of XP as described a few posts down. If you want to buy from a well known store then go with pcmemorystore. If you want to save a few bucks, go with mine or a similar one on ebay. The Transmeta Crusoe TM5800 processor is integrated, so no upgrade is possible. There are several different processors seen in the t5700 and t5710s including the 733MHz, 800MHZ, 1GHz and 1.2GHz models. I have both the t5700 1GHz and the t5710 1.2GHz. The 1GHz is my favorite out of the two because its got more room inside (see pics below) and it runs cooler than the 1.2GHz. The only thing I like better on the 1.2GHz model is that it has USB 2.0 ports while the 1GHz has 1.1. Integrated Audio, with speaker inside of case for full sound. External speakers also supported via 1/8" standard audio jack. 4 USB that will be 1.1 or 2.0 depending on the model you get. A single PCI slot exists, but is not usable without a PCI riser card due to its proximity to other components. You can search for the optional PCI Expansion Module for around $30 if you want to add a usable PCI slot to this device. The PCI expander also makes extra room if you want to install a laptop hard drive. My 1st upgrade (CF adapter hotglued in and covered with electrical tape to prevent shorts) and 2GB Sony CF in a t5700. When going the CF adapter route, try to find a small one. I ordered a cheap on on ebay from a US seller and didn't read the desciption close enough. Mine is larger than normal as its meant to mimic the footprint of a 2.5" laptop drive. Check out the ATCFWCHG.COM utility instructions at http://www.thinkwiki.org/wiki/Compact_Flash_boot_drive. You will have to google for the actual utility as I don't believe its supposed to be redistributed. You can copy it over to the USB you use to flash your system and run it from the freedos prompt. Make sure you don't have your Magic Jack plugged in during this procedure. Select this item, right click and select Update Driver. Select Install from a list or specific location (Advanced) then select Next. Then select “don’t search, I will choose the driver to install”. Select Next. Leave the selection box for "Show compatible hardware” checked. There should be two items in the Model box. Select the second item. “Standard Enhanced PCI to USB Host Controller”. Then select Next and after it is thru installing then Select Finish. Right click on all three USB Root Hub entries one at a time and select Properties then the Power Tab and un-check the "Allow the computer to turn off this device to save power. This power saving must be turned off or you may experience things like the MagicJack failing to respond after it has been sitting idle for a time. - Go to Control Panel -> System -> Advanced -> Performance ,Settings -> Advanced -> Processor Scheduling. Select the radio button for "Background Services" and reboot after saving settings. - (from HolmanGT) One other thing (now this is from the Dlink Tech Support people) if you router has a SIP handler and QoS, turn off the SIP protocol handler turn on the router QoS and turn of the QoS in all your computers. Let the router handle QoS for all your machines. A quote from Dlink was if you have both the OS QoS and the router QoS on they can tend to buck one another and make things choppy. If you have enough flash memory, you can install a full copy of Windows XP or any OS you like. However, you should install the Enhanced Write Filter (EWF) if you go this route. I am successfully running Windows XP SP2 on my 2GB compact flash and I'm using the EWF. Read HERE for more information on setting up EWF on Windows XP. UPDATE: I made a new post HERE with more details on configuring a full copy of XP on a thin client. TinyXP Rev 06 and "Stripped to the Bone" editions of XP (google it) make interesting options for an XP OS on these. They both run very fast compared to a stock install of XP while retaining much of the standard functionality. If you really want to go with a barebones version of XP, you can google for MicroXP or TinyXP Beast Edition. I am not going to get into the legalities of these modified XP OS's. I just want to point out what's available. I am running a copy of Stripped to the Bone on a 1GB Transcend Flash on my t5710, but it was a pain. It would have been MUCH easier with a 2GB module like on my t5700. You will need a minimum of 2GB of flash memory to install XP. Its possible to install it on a smaller flash memory like 1gb, but its a big pain in the a**. Save yourself some trouble and use a 2gb+ flash memory card, dom, etc if you want to go the full XP route. This is a very functional, optimized flash for the HP t5700 and the t5710. Version 1.2 has been tested on a 1.2ghz t5710 and a 1GHz t5700 both with a 1GB Transcend Disk on Module flash memory. It worked with 256mb or 512MB RAM. It uses about 500MB of diskspace and has Java 1.6 rel 4 as well as .Net 2.0sp1 installed as well as a ton of tweaks. All you need to do is install the MagicJack software. I have included instructions in the archive. I had to use a different program called CloneZilla (freeware) for backup and restoration of 1.1 due to some issues ibr had with the partitions. The good thing is that the restore is much faster using CloneZilla and you only need a 1gb USB flash drive to do a restoration. The bad news is that the backup ended up being about twice as big because it wouldn't rar up as well as 1.0. You can use whatever version suits you best. 1.2 is better, but 1.0 is still pretty damn nice. I have uploaded it to rapidshare and megaupload so you can download parts from either site as they are interchangeable. -Added compatibilty for t5710 1.2GHz. -Reduced ramdisk to 15mb to help those with only 256MB RAM. If you can afford the extra RAM, I would suggest pushing the ram disk up to 64mb, commit and reboot. -Auto creates and enabled hidden EWF partition and on first boot. This fixes the status lock icon having a large X through it on from 1.0. -Installed drivers needed for Magicjack, so you just plug in yours and it’s ready to go. -Created GUI versions of the desktop EWF icons (Commit, Enable, Disable, Status). No more DOS windows. I also built custom icons into the executables. -Setup MagicJack service that is disabled by default. 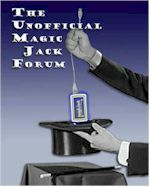 You can enable it after following the steps in the MJ forum sticky "Magic Jack as a service - a better way"
-Added CallerID Spoofer version by steveostop. I haven't tested it other than running the program, but it does run since .Net is installed. -Uninstalled most unneeded apps that came stock on the unit (xpprep, citrix, windows media player, etc)-Disabled most of the compression on the drive to speed it up. I enabled compression on the .Net and Java folders due to their large space requirements. -Disabled sygate firewall. You might want to re-enable this if you are not on a secure network. They said they don't keep these kinds of parts in stock so that is why the back order notice. But they usually get the part sent out within 2 or 3 days. Maybe dropped shipped from a warehouse somewhere. So today I ordered the 1 gig. flash card. I ordered 2 - 512 IDE Flash Modules from TranscendUSA last night. I didn't receive a backorder notice. When did you get your backorder notice, during ordering or after you placed it? I never received a back order email... Holgram did. Ok today (Monday) I did get a "back ordered" email. It said something like... When items are backordered they are usually shipped from our warehouse within 1-3 days. I ordered the 1gb Transcend module over the weekend and got my UPS tracking number last night. Scheduled to be here on Thursday (15th). On a separate note, I have made an image of my 5710 using Acronis Drive image. I then restored that to a VMware image so I can play around with it and copy over any files I want to my full version of XP if I like. There were a few hurdles to get it to work on hardware other than what it was intended for, but it works. I also am playing around with TinyXP Rev 06 as an OS for the thin client. I used the larger install option it has because I wanted to keep IE because MagicFix needs it. This install runs aroun 675mb, but it is faaast (at least in vmware). It runs much faster than the vmware image I have of XPe from the 5710. The first step in setting up the thin client (TC) is being able to access the system bios. To do this you’ll need to have a working keyboard. The TC’s have a PS2 connector on the back with a picture of a keyboard beside it. The TC bios settings allow this PS2 connector to either support a PS2 keyboard as the picture would indicate or to support a PS2 mouse. Which one of these is supported when you get hold of a TC will depend on how the previous owner had the bios setup. If the previous owner had the PS2 connector setup to support a PS2 mouse then you must use a USB keyboard to gain control of the bios settings by pressing F10 during boot up. PS2 to USB adapters will NOT work. You must use a USB keyboard if the PS2 port has been set to support a PS2 mouse. After you have successfully entered the bios setup you can change the PS2 connector to support a PS2 keyboard. You can leave the bios settings enabled to allow a USB keyboard and USB mouse both enabled and you will from then on be able to use either a USB or PS2 keyboard. You can control bios settings with a keyboard alone (i.e. the mouse doesn’t have to work) but a working keyboard is necessary and that is why I recommend allowing both USB and PS2 keyboards. 2) Connect your USB disk-on-key (DOK) (I used a 2Gb “Kingston Data Travler R101”) to a USB port on your desktop computer. 3) Execute the file you just downloaded somewhere on your desktop system and when it asks select “USB Format” and your USB DOK as the destination. 4) Restart your TC and during power up press F10 to enter the bios settings. 5) Select USB as the first boot device and save the bios settings. 6) Power down the TC. 7) Insert the DOK into any USB port on the TC. 8) Power up the TC. At this point the TC should go through a power up sequence and eventually begin to flash it’s internal memory from the data contained on the DOK. Be patient this takes quite a while to perform. After the re-flash has completed you will be prompted to remove the DOK and cycle the power on the TC. I recommend at this point you during boot up you press F10 and change the bios back to so the first boot device is the ATA. Then save the bios setting and allow the TC to continue to boot. Once you have done that the TC should boot up into XP embedded and perform an auto logon into the “User” account. Alternatively you can run the batch file disableEWF.bat I have included in the zip by just double clicking on it or entering the command in a CMD window. Next you’ll probably want to customize your TC by adjusting settings the way you prefer. I at this point set my screen resolution to my desired settings. Adjust the taskbar the way I prefer and drag things I use frequently onto the desktop for easy access and delete desktop shortcuts don’t use. One of the great things recommended to me (by HolmanGT) was Team Viewer this wonderful utility allows you to remotely control and view the desktop of your TC. Once installed you can remove the mouse, keyboard and monitor of your TC and just run it remotely. Team Viewer has a small footprint and works great. It is free for personal use and I highly recommend it for professional use as well. When you install it select it to start with windows and give it a password. Later you’ll also want to go into it’s “Extra” settings and adjust it to your liking. The windows Time Update is disabled by default so your clock won’t automatically get reset. I would also suggest you go into control panel and select “Administrative Tools” then select “Computer Management” the “Services and Applications” and finally “Services”. Scroll down to “Windows Time” and right click on it and select “Properties”. Set to “Startup Type” as Automatic and click on the “Start” button. Then click on “OK”. After you have enabled the Windows Time service, you will want to set your clock. Right click on the clock in the task bar and select “Adjust Date/Time”. Make the necessary changes to set the clock to the current date and time and select your time zone. The time doesn’t have to be exact but must be close for the automatic setting later to function. Once you have the clock set then go to the “Internet Time” tab and check the box “Automatically synchronize with and Internet time server”. I leave my Server: set to “time.windows.com". Then finally click on the “Update Now” button which will automatically accurately set your clock and in the process test your settings. Now that you have your TC all setup the way you like it you may want to create a flash image with your configuration settings. This would allow you to re-flash the TC later and not have to go thru the process above since your flash will already have your changes incorporated. There is a utility in control panel to do this but I was never able to get it to work correctly. echo Restore Completed - Remove the USB DOK Now and reboot! echo After rebooting run ebableEMF.bat using the "Run" command from the "Start" button. 5) Go to the “Start” button and select “Shut Down” when prompted select “Shutdown”. 6) Make sure your DOK is inserted in one of the USB ports and turn the TC power on. 7) The TC should boot into Free DOS just hit enter a couple of time to accept the date and time and you should be at a c:\ prompt. Note this is really now the DOK and not the internal flash drive which becomes c: during a normal boot up. 8) Once at the c: prompt type “capture”. This will start the capture.bat file and begin the process of copying the TC’s internal flash drive data to a file located on your DOK which will be named flash.ibr when complete. This is a long process! Once complete you’ll be prompted to remove the DOK file and cycle the TC power. 9) After you have removed the DOK and switched the TC’s power button back on the TC should reboot into windows as before. 11) Now navigate once again to control panel and the “EWF Configuration” select “Commit Data to Volume” and afterward allow the TC to reboot. Once the reboot has completed the little lock icon near the clock in the task bar should be green and indicate closed. This completes the creation of your own flash image process. 1) Insert your DOK into one of the USB ports. 3) During boot up Press F10 to enter the bios setup and make the first boot device the USB. 4) Save your bios settings and allow the boot to continue. 5) The TC should boot into Free Dos from the DOK so just hit enter a couple of time to accept the current time and date. 6) At the c: prompt type “restore” which will execute the restore.bat file and copy the flash.ibr file you created earlier to the TC’s internal flash drive. This takes a long time but once completed you will be prompted to remove the DOK and cycle the TC’s power to reboot. 7) I recommend you intercept the reboot by pressing the F10 key and change the first boot device back to the ATA. 8) Then save the bios settings and allow the boot up to continue. Once the TC has rebooted in windows the little lock icon should be green and closed (locked) indicating EWF is enabled. This completes the re-flash process. Well I received three of my CF to IDE adapters today. I guess some you win and some you loose some. I really like the idea of not having to use a cable and yet being able to use a regular CF or microdrives but these adapters are not gonna work. First the connector pinout is such that the adapter would have to fit in the opposite direction of that need for the Thin Client. Secondly and more important they are too big to fit in the space available in the T5710. Not even close enough to allow trimming to squeeze them in. These were from this eBay three pack deal but I am sure they are these Soarland SLCI4404. Below are some photos. I indicated where pin 1 is on the photos with a yellow 1. The last photo shows how big they are with respect to the area available. With the hope of being able to run some comparisons of speed between the stock flash and my 233x CF and microdrives I download a very nice little utility which measures the speed of your drives. It is from http://www.simplisoftware.com and is free trial and personal use. It also has a fairly small foot print of about 2MB. Unfortunatly I'll have to wait till my other adapters arrive to benchmark the 233x CF and microdrives but while I am waiting I decided to go ahead and test the drive speed on my two different T5710s. One is a stock 256/256 the other came as a 512MB flash and 256MB ram. I have upgraded the ram in the 512MB flash unit to 512MB ram now as well. So it is basically a 256/256 vs 512/512 comparison. I had expected them to be the same but I got a surprise which I have not figured out the root cause of yet. The 256/256 unit has a much slower read speed than the 512/512. I note the 256/256 use 92% of the CPU during reads where as the 512/512 uses almost none. Below are the results of the tests. For those interested in the Transcend flash modules, mine came in today and its a perfect fit replacement for the original. The shape, the mounting, and even the hole for the plastic stabilizer on the motherboard fits exactly. HolmanGT got his earlier this week and he has confirmed that it runs the stock XPe perfectly fine. The easiest way would be to boot from an external USB CD or DVD ROM drive with your beastxp cd in the drive. This is the way I did it with my version of XP and you just install it like you would on any other PC. Another option would be to use your bootable USB DOK made for flashing the HP verion of XP Embedded and copy your beastxp files to it. However, I have never tried that method and am not sure of the details. One other option (hardest) would be to install it on a normal PC, image the PC with software like Acronis or Ghost and then restore that image to your 5710. Unit 1 - The 2GB 133x Sony Compact Flash got 14.3mb/s average read. Unit 2 - The 1GB Transcend Disk on Module flash memory and got an average read speed of 25.8MB/s which isn't bad. Unit 3 - The stock 256MB DOM Flash drive gave 8.4MB/s average read.